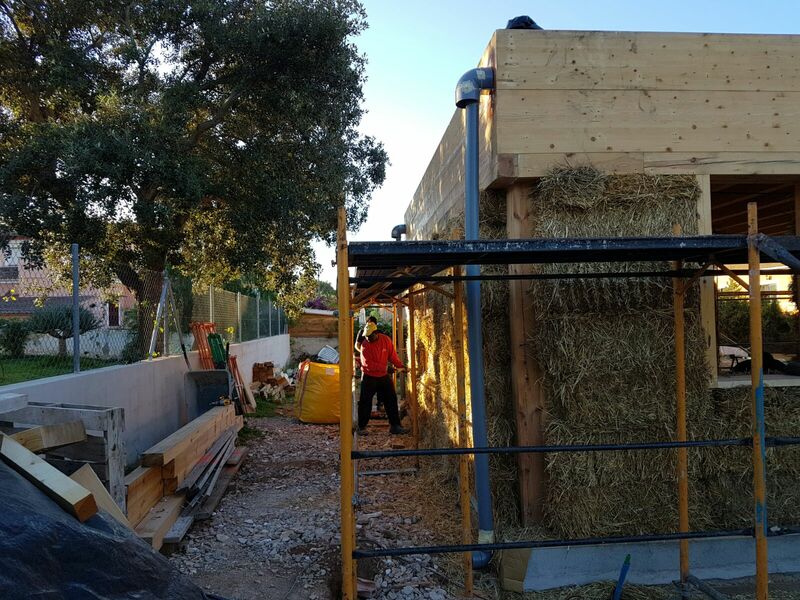 Family house of bales of straw and wood in Alcudia. 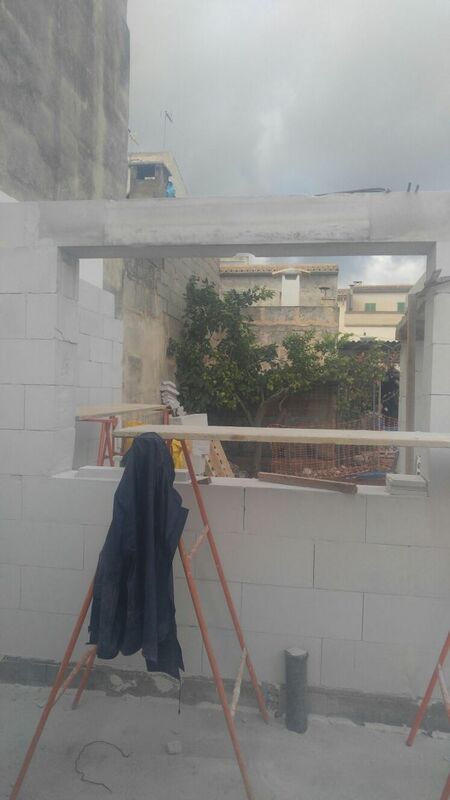 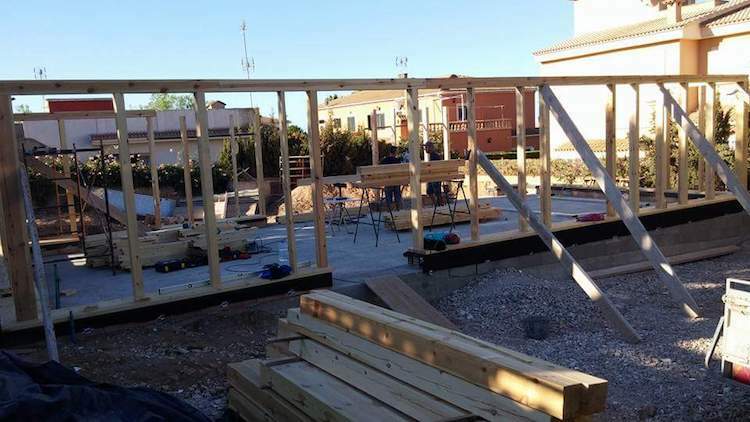 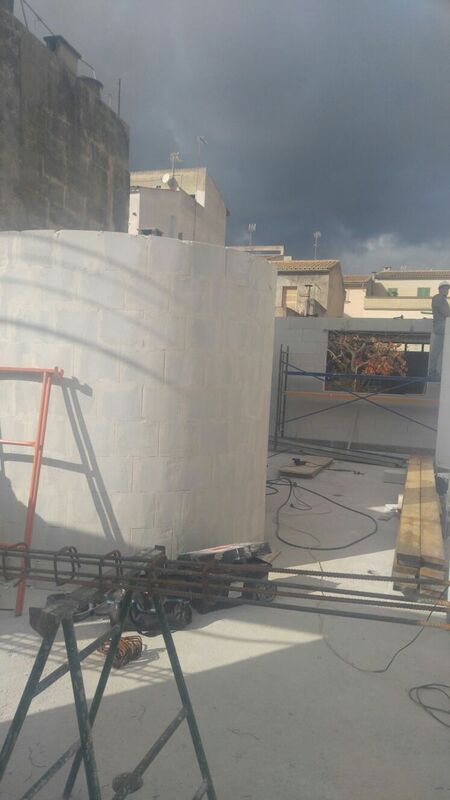 Construction green house in Alcudia. 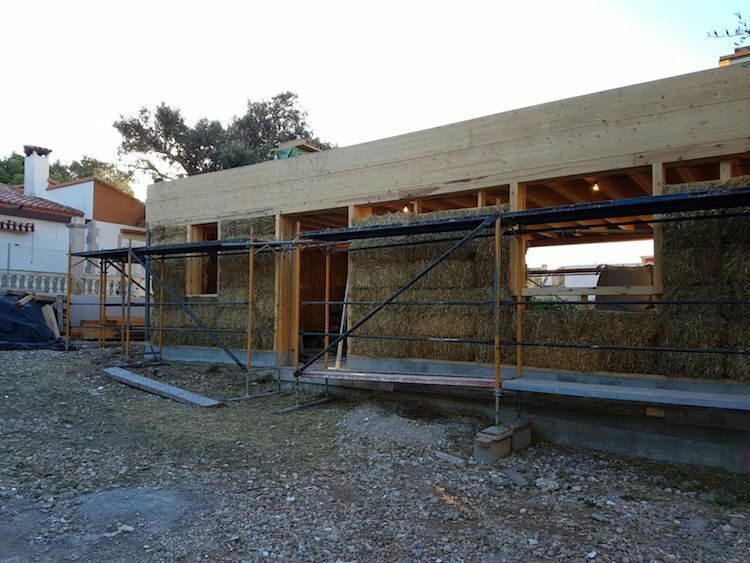 Family house of bales of straw and wood in the town of Alcudia. 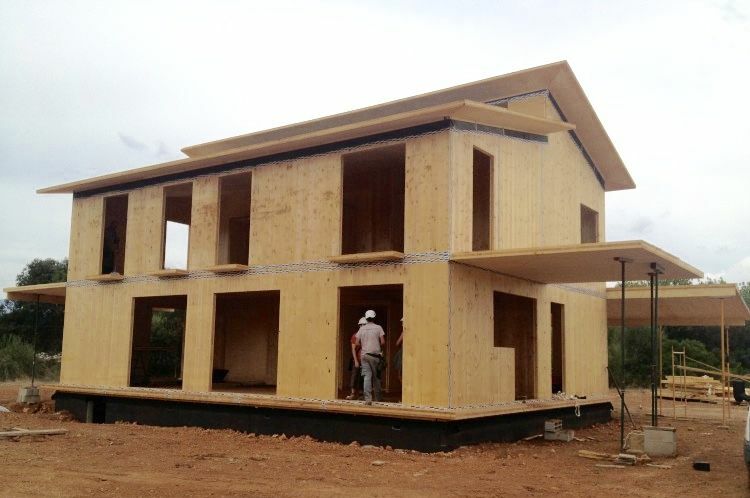 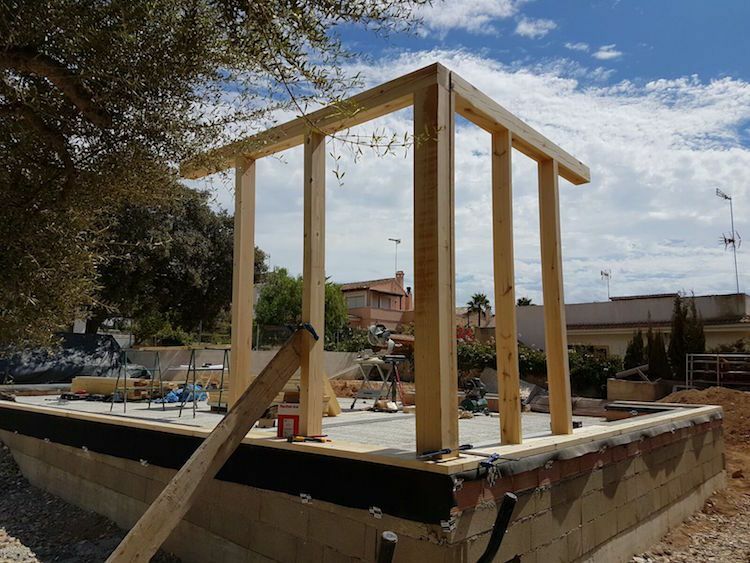 Ecological house situated in an urban environment in the area of Alcudia, with a system based on a vertical structure of light frame wood, supported on struts reinforced concrete beams, horizontal roof structure will be of laminated wood beams with variable section gabled and infill of OSB panel. 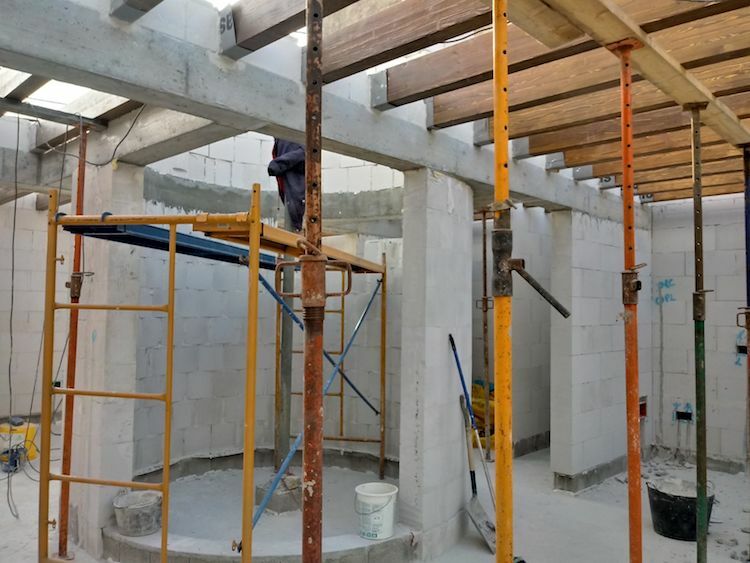 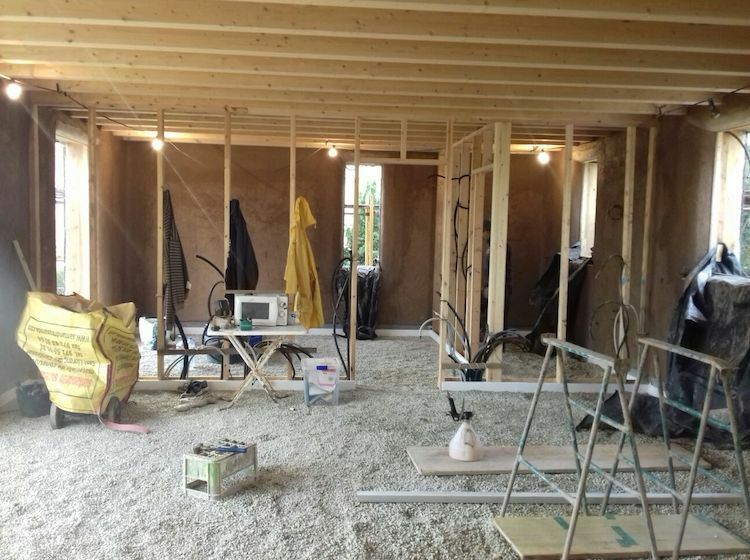 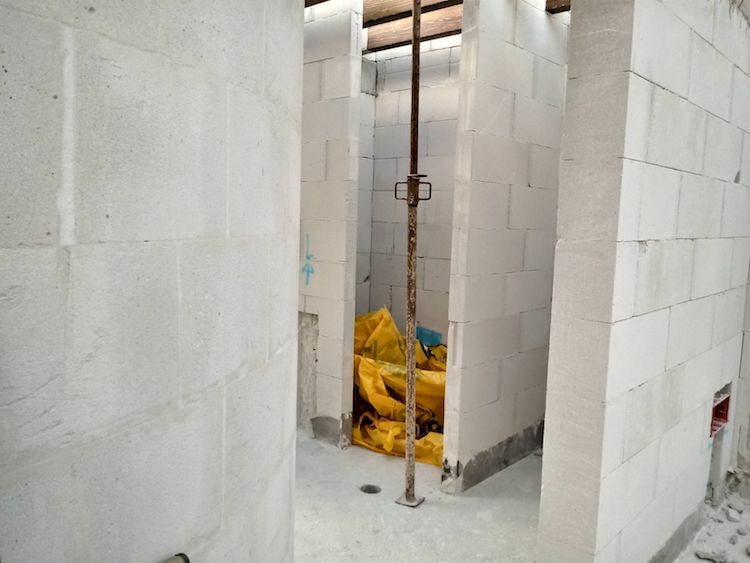 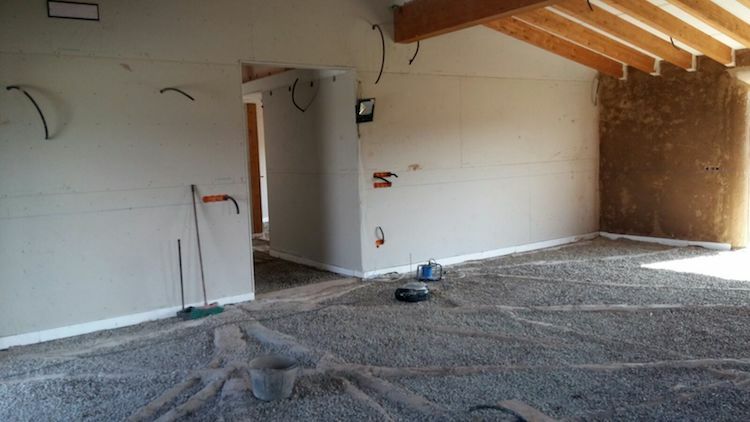 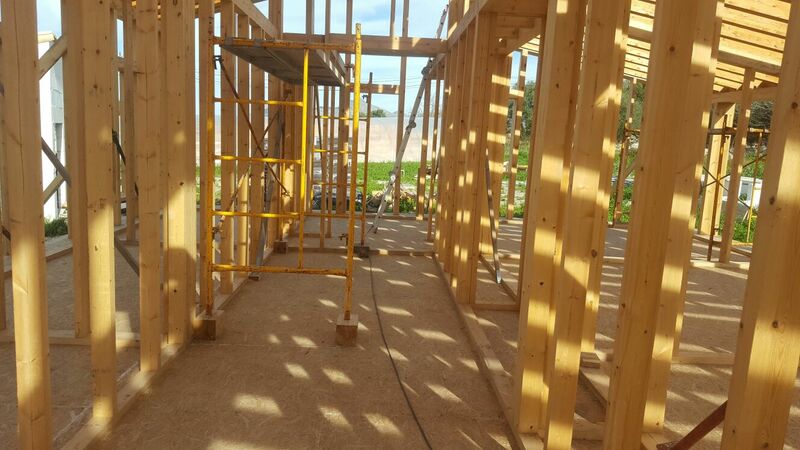 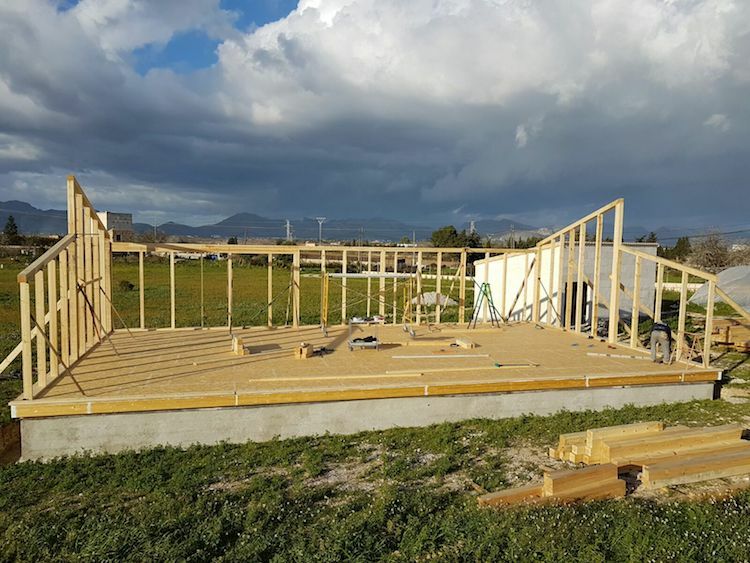 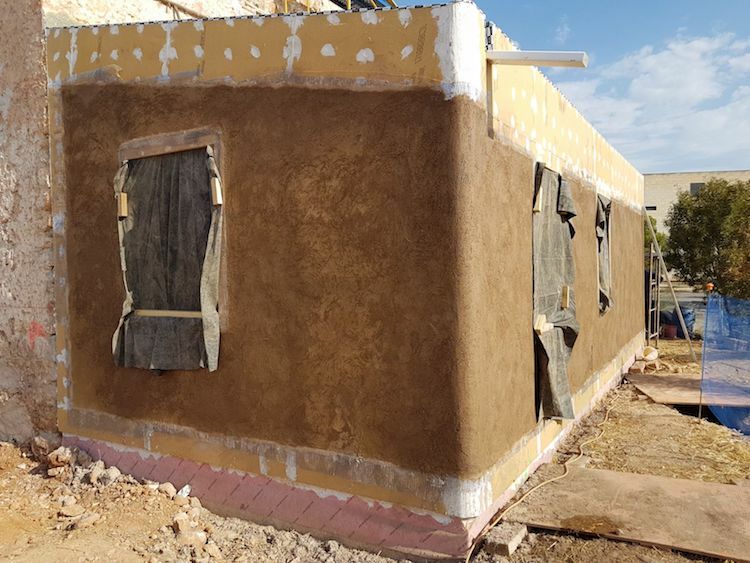 The interior walls will be made with dry system with drywall partition walls with cardboard, holding to a wooden substructure. 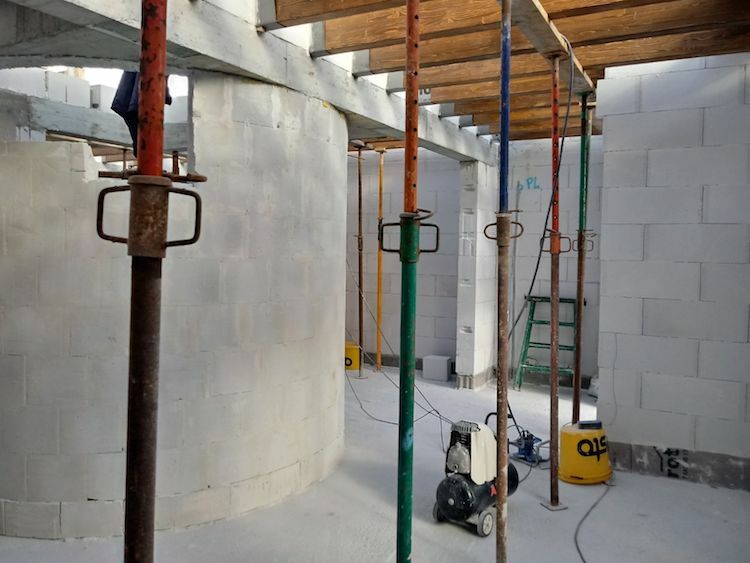 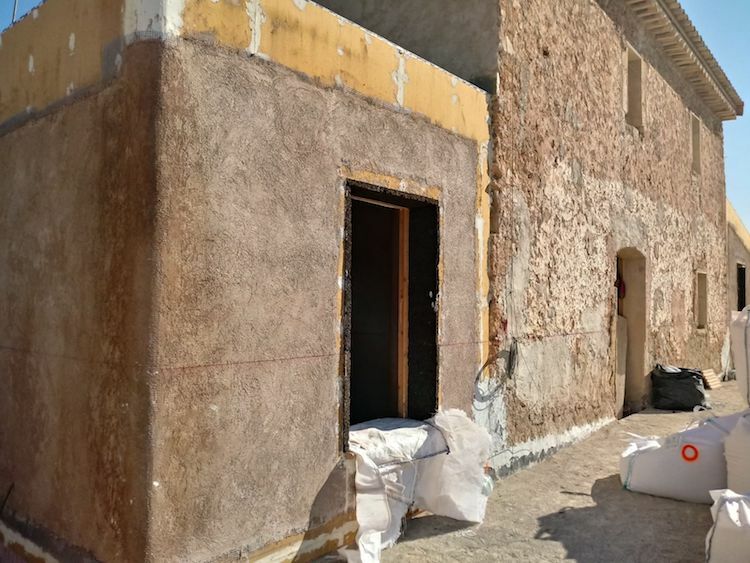 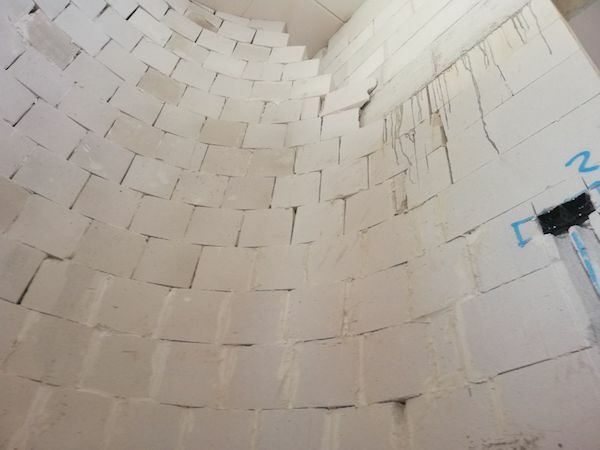 Exterior walls will filled with insulation compacted bales of straw, fitting the rows of bullets between the pillars of the facade, finished with clay sand and fibers and water-resistant plaster plastering with lime mortar with natural pigmentations. 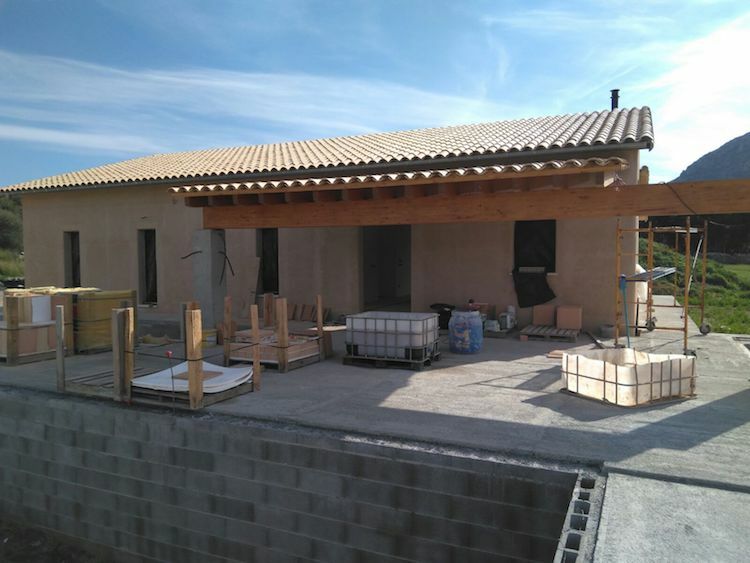 The sloping roof is finished with Arabic tiles. 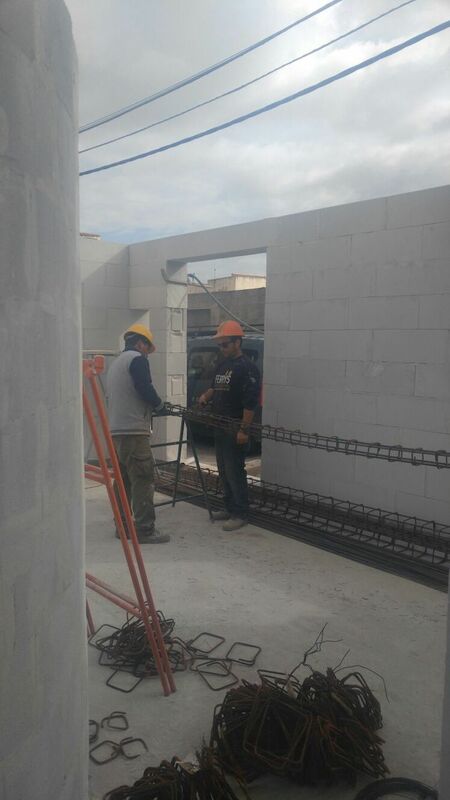 CONSTRUCCIONES HERMANOS FERRY’S., A family construction company based on trust and commitment. 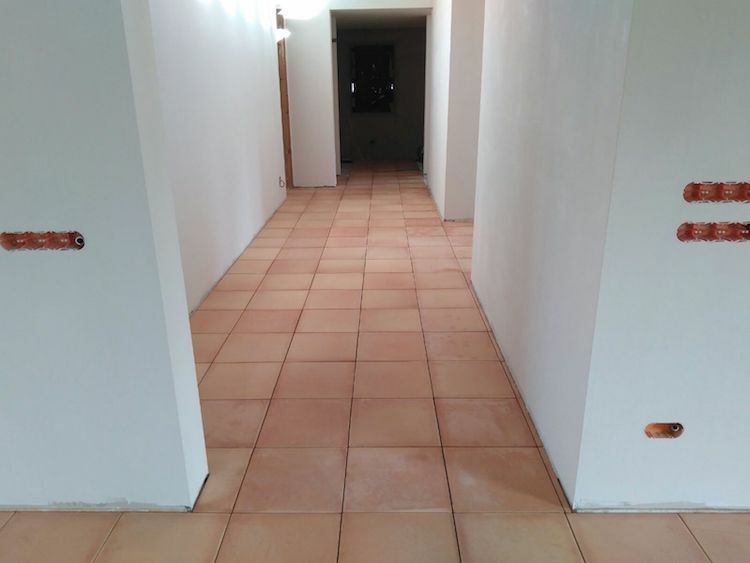 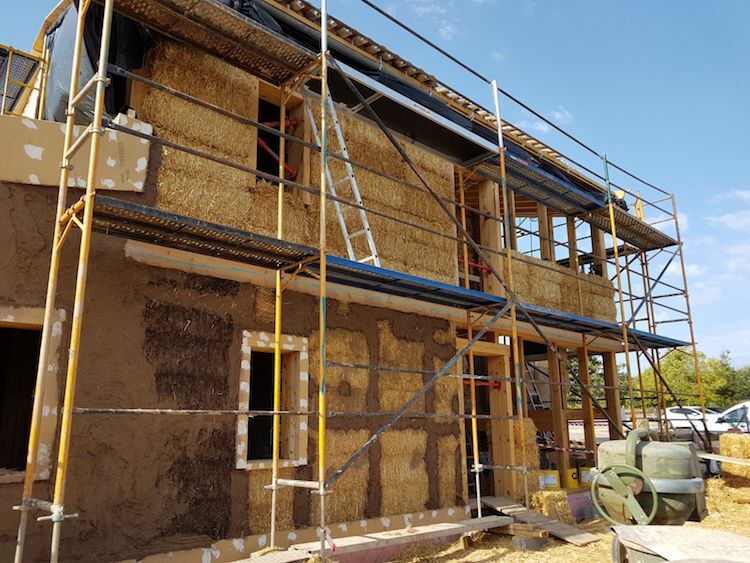 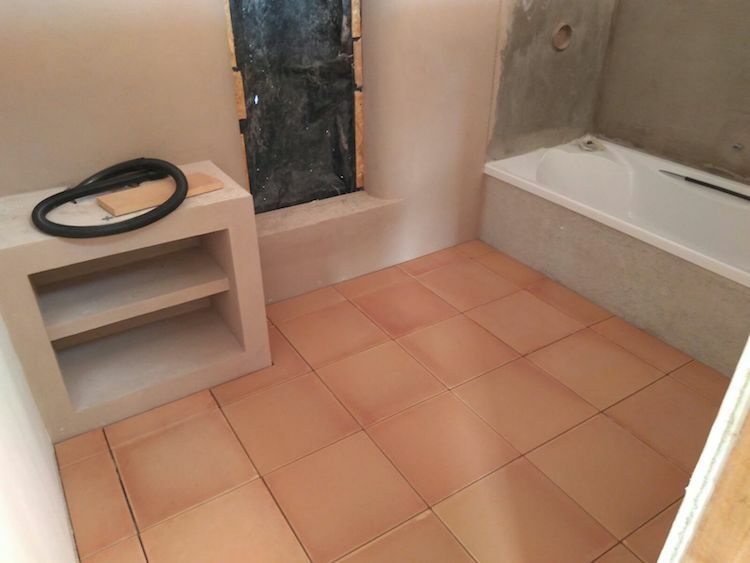 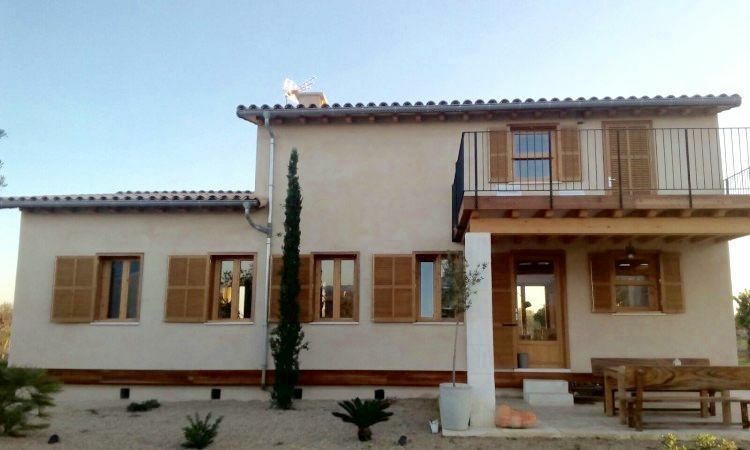 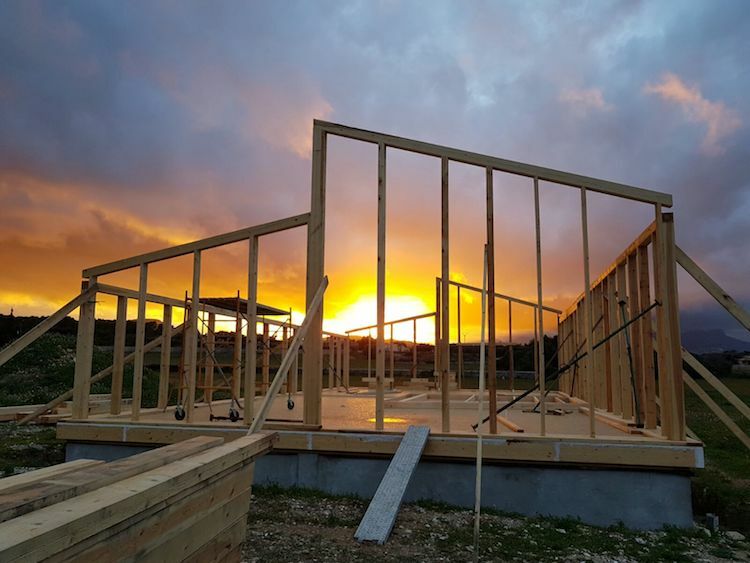 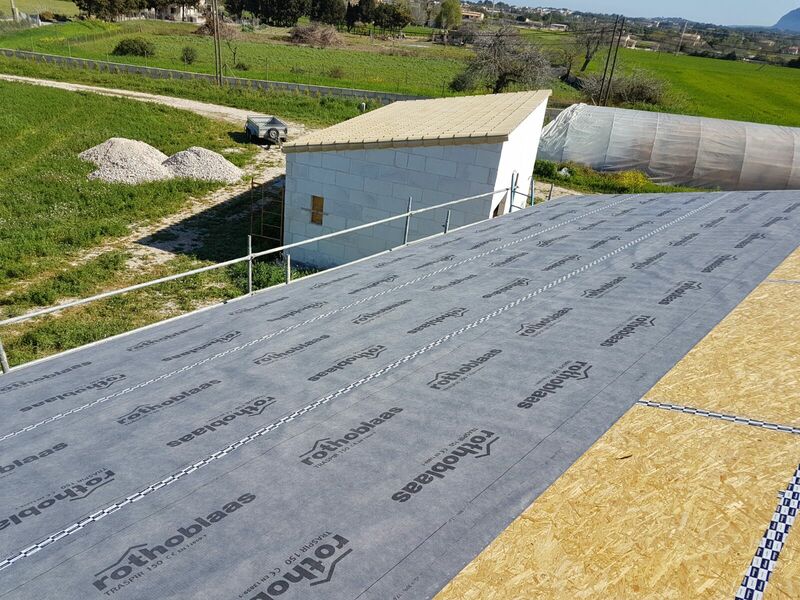 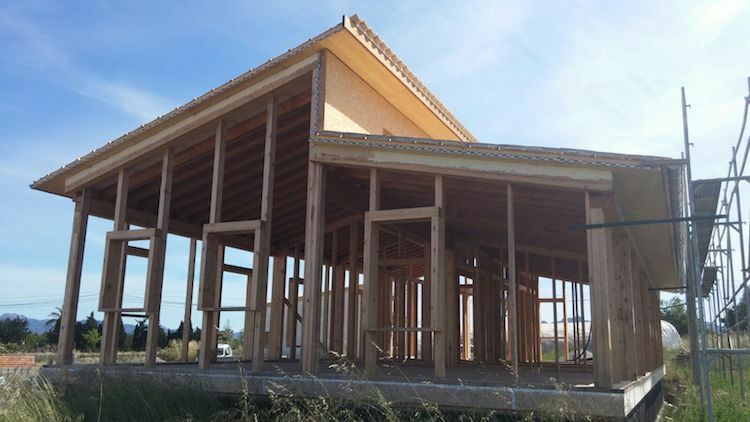 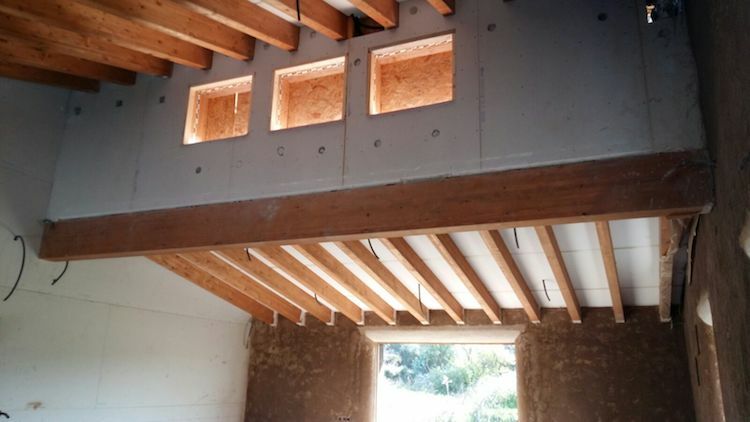 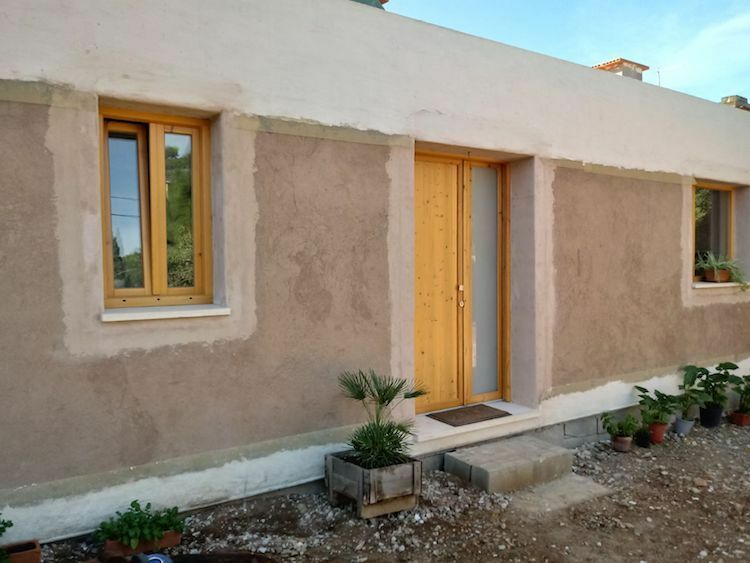 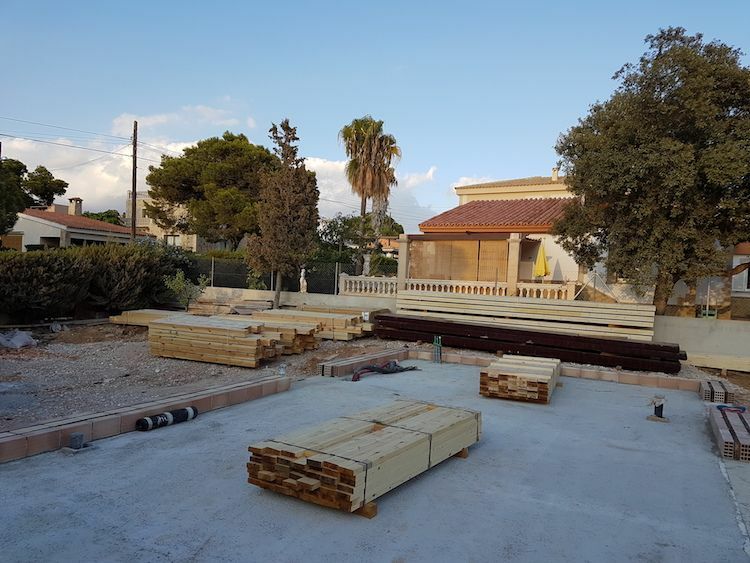 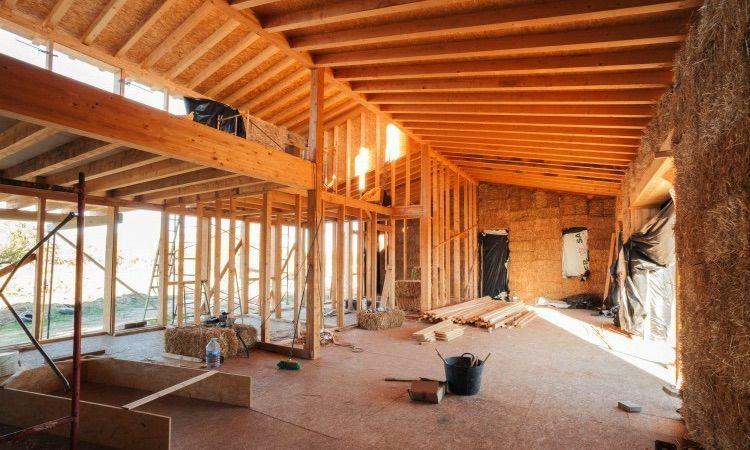 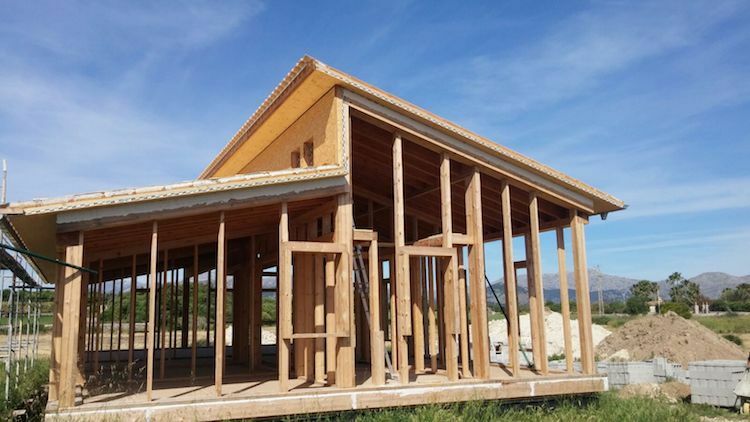 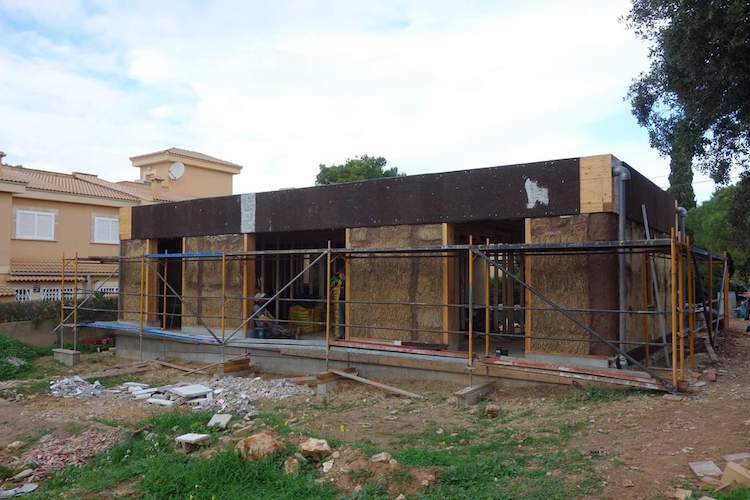 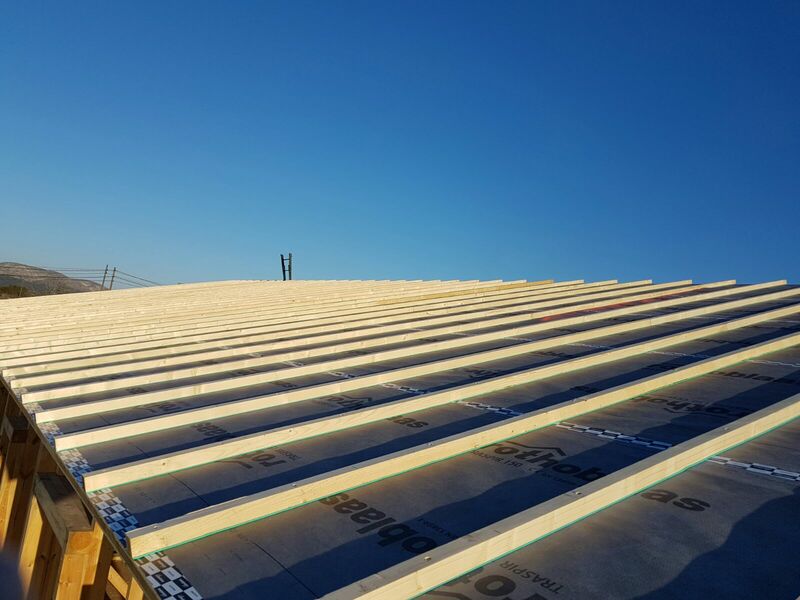 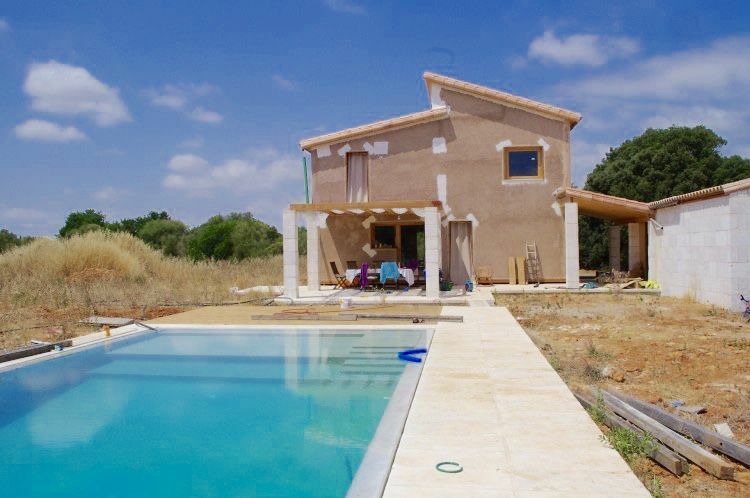 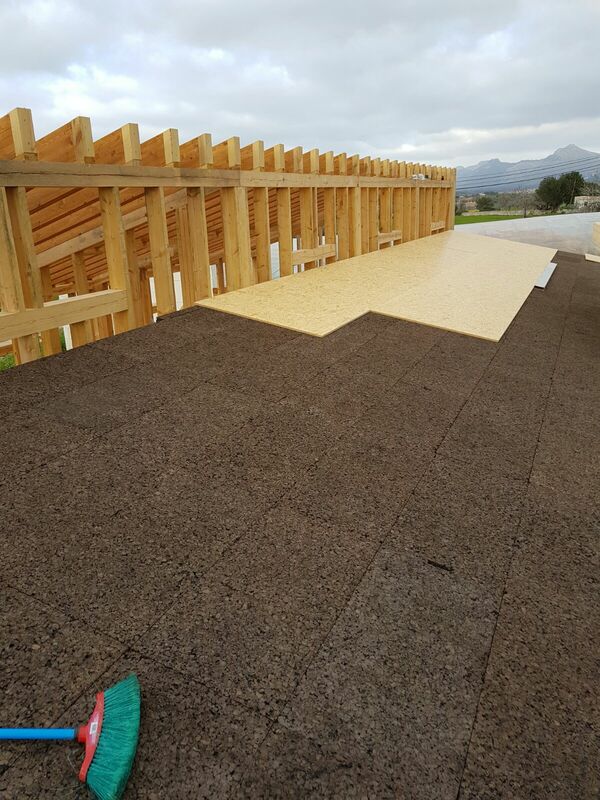 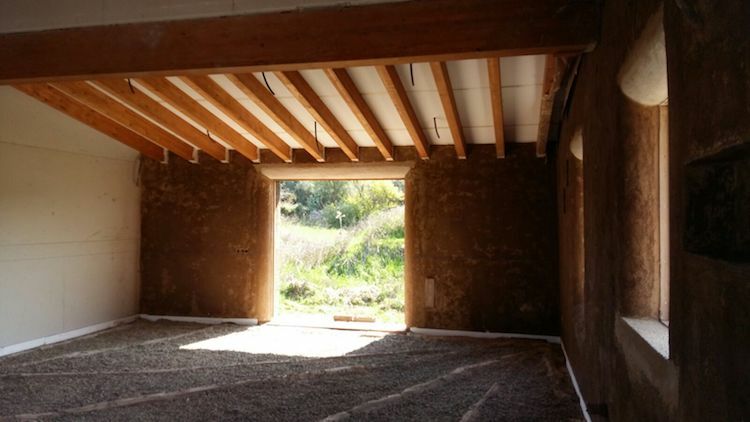 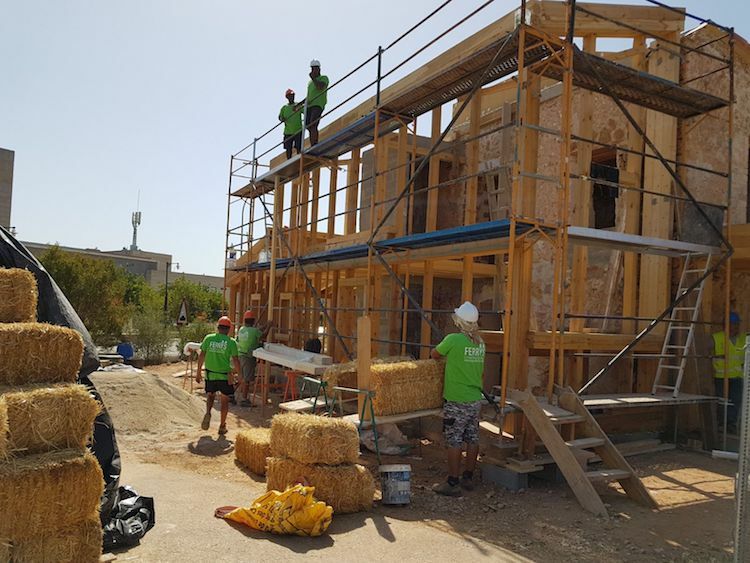 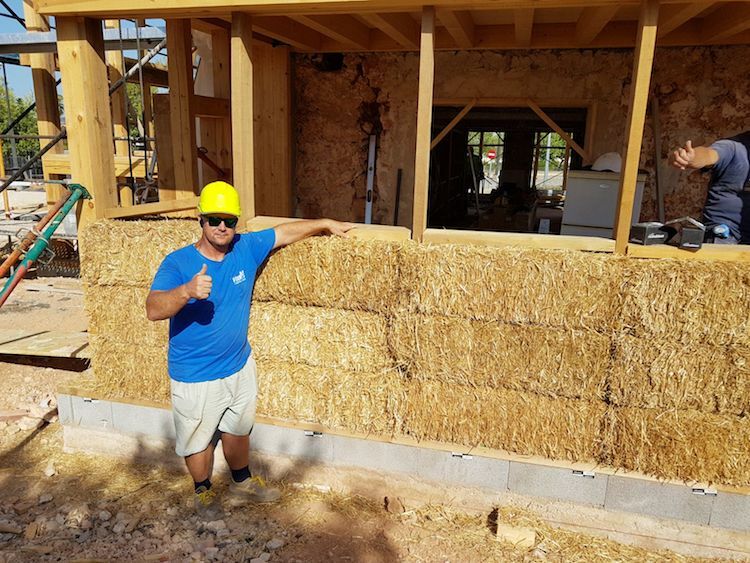 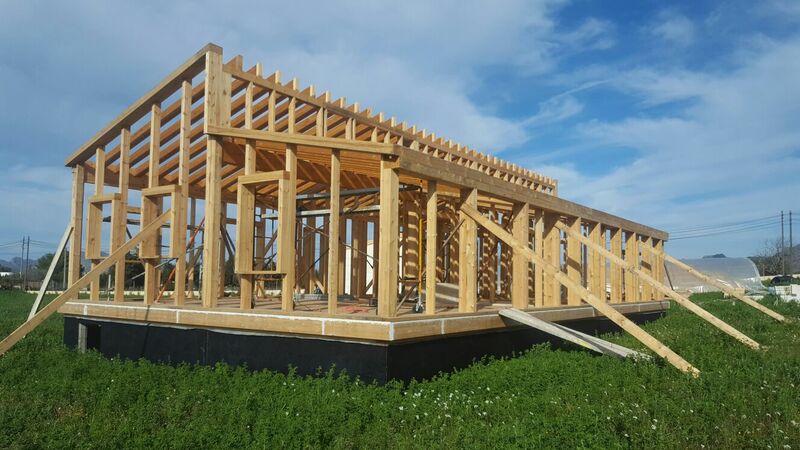 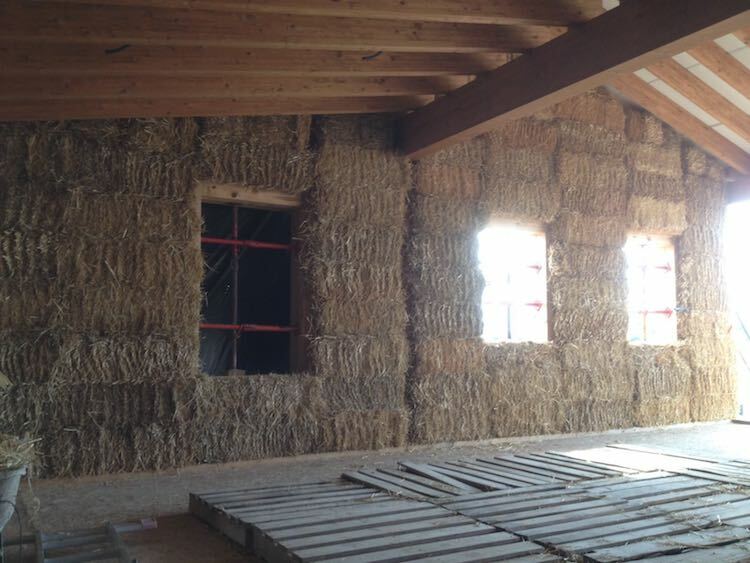 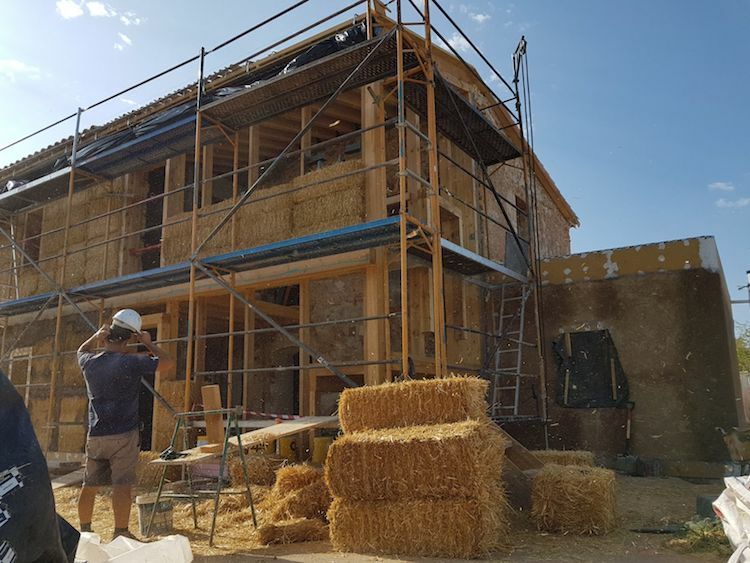 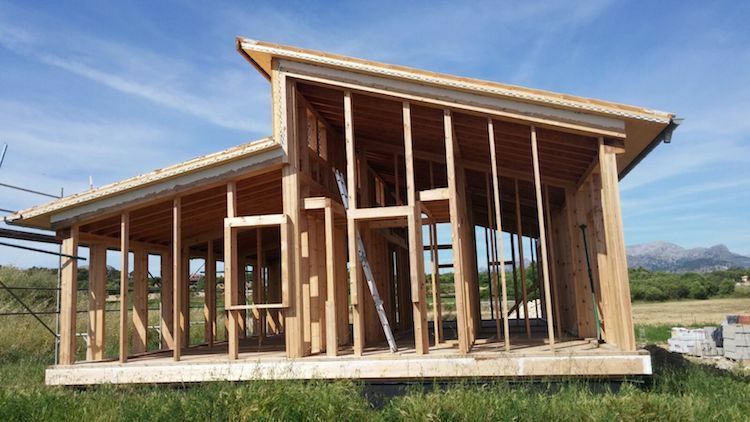 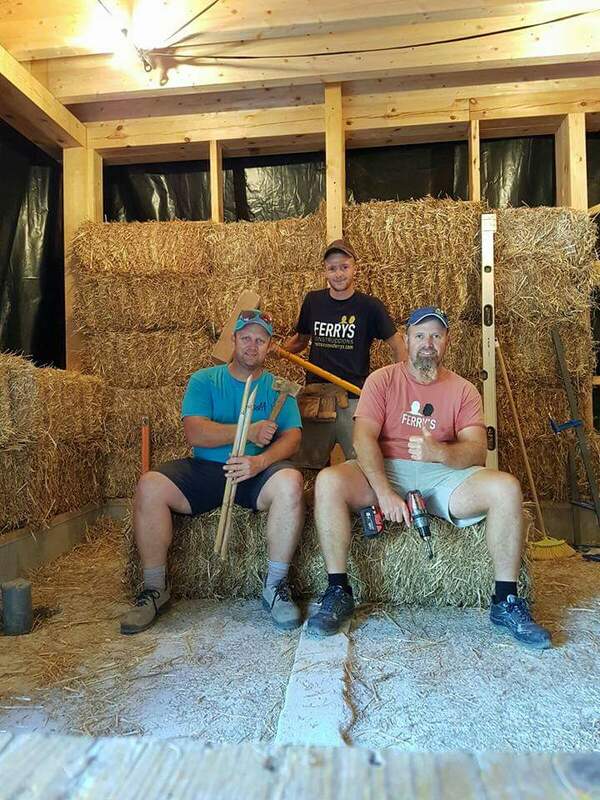 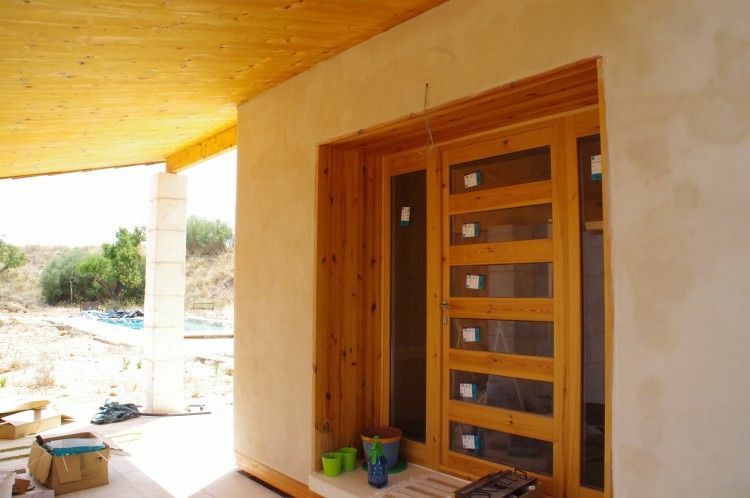 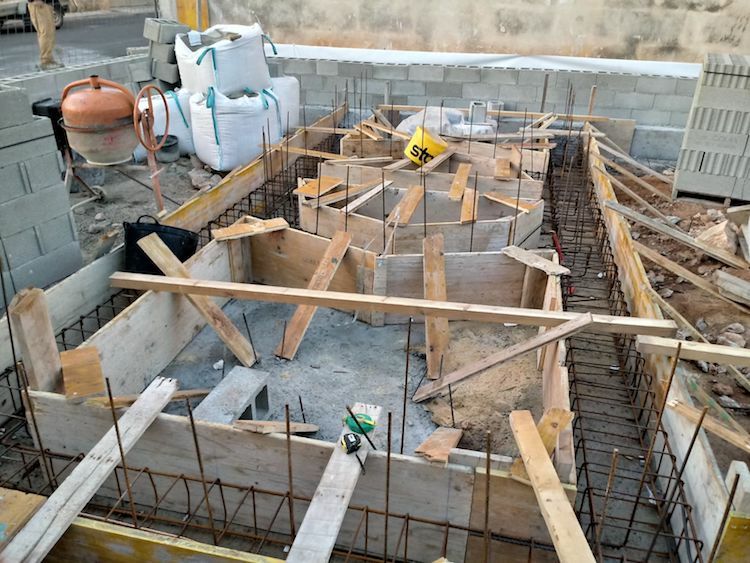 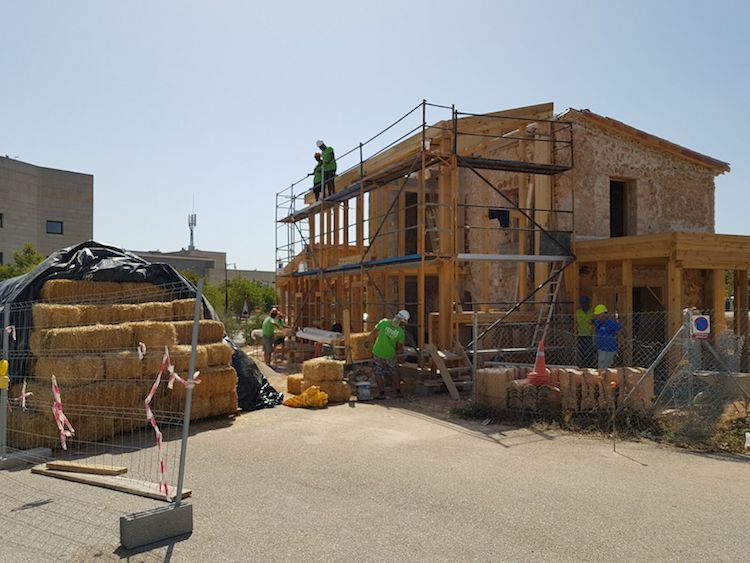 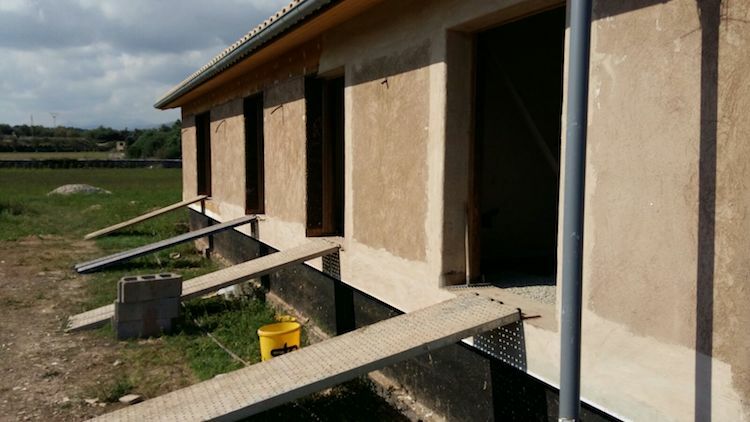 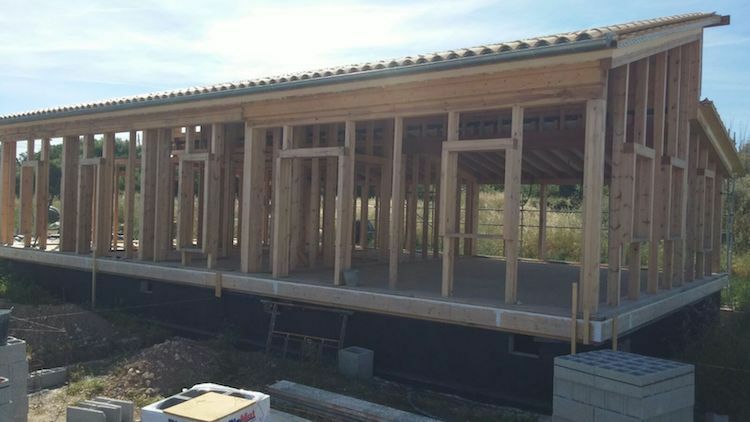 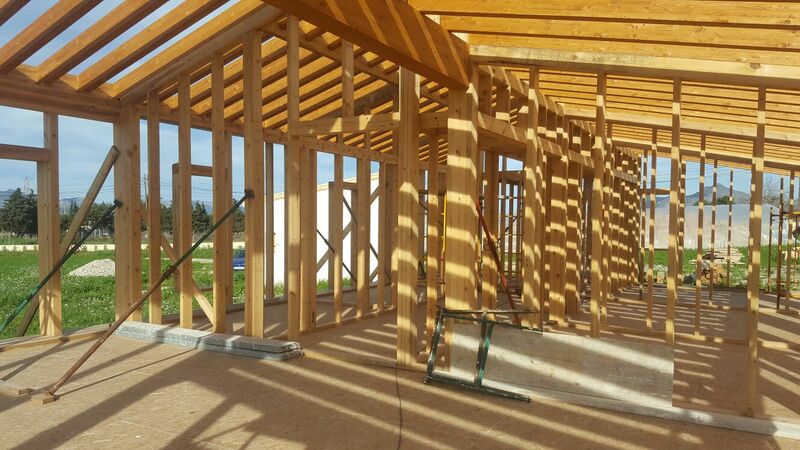 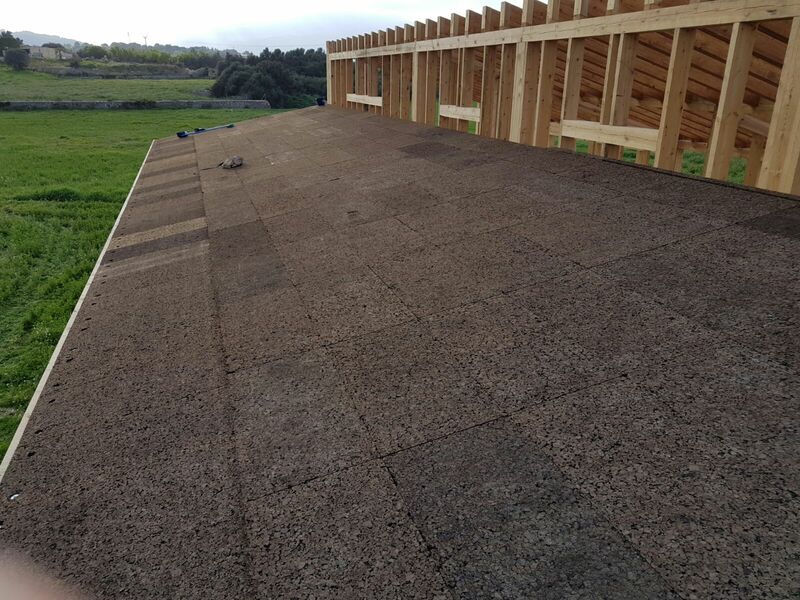 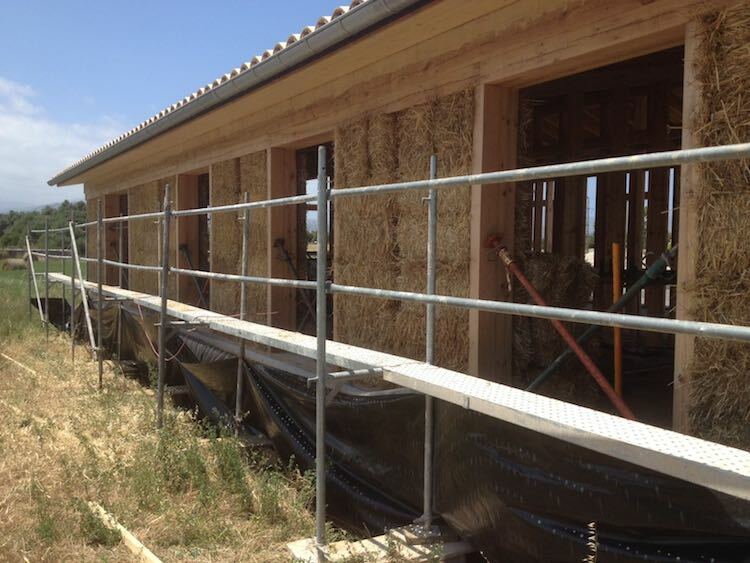 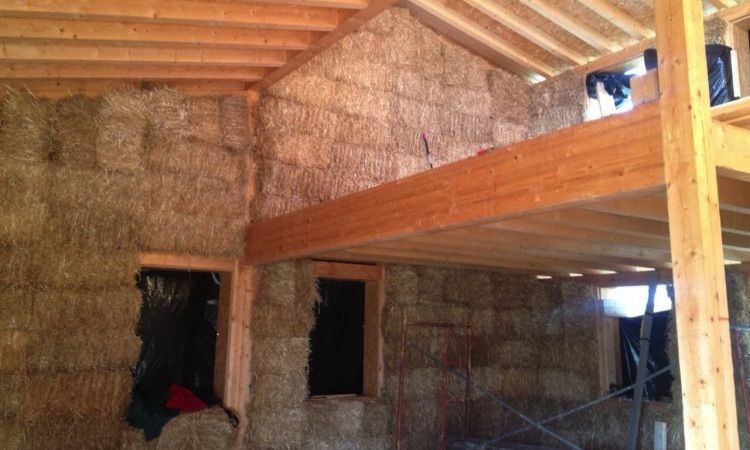 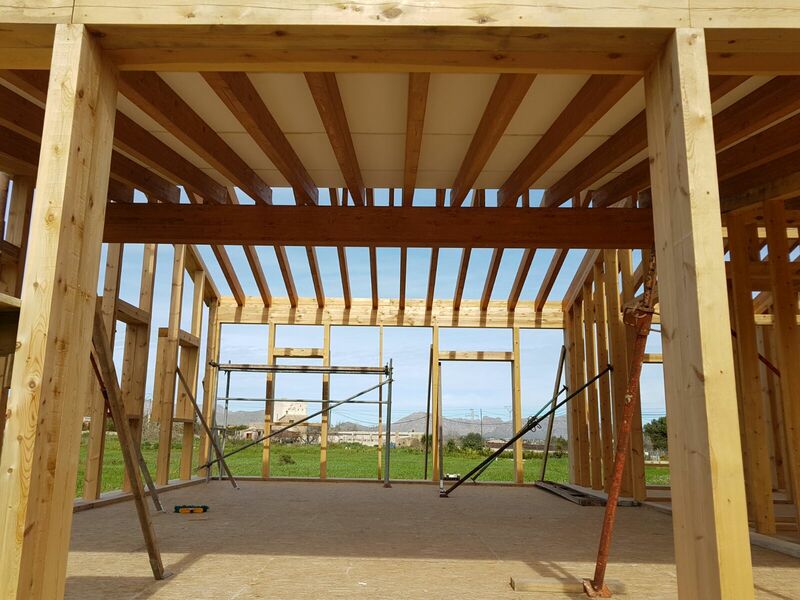 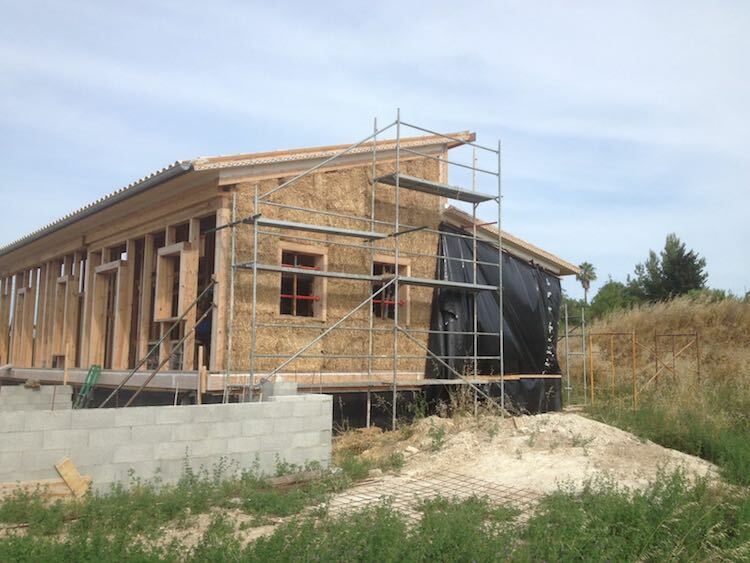 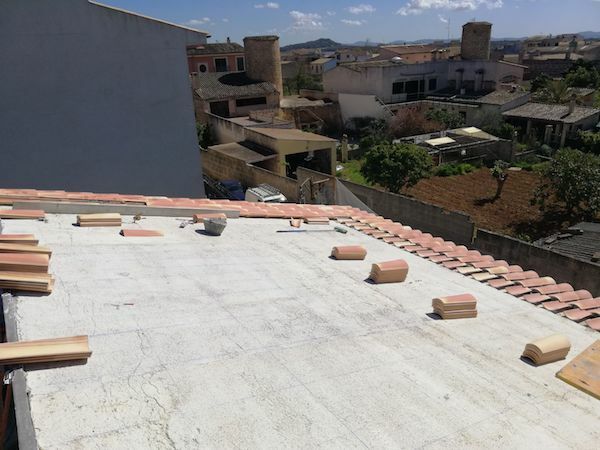 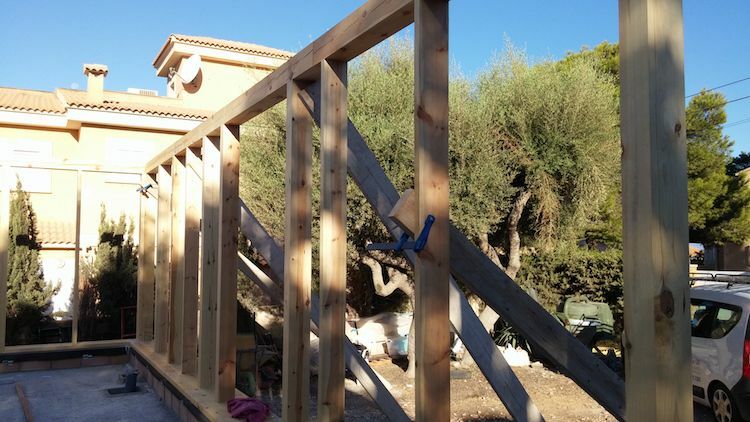 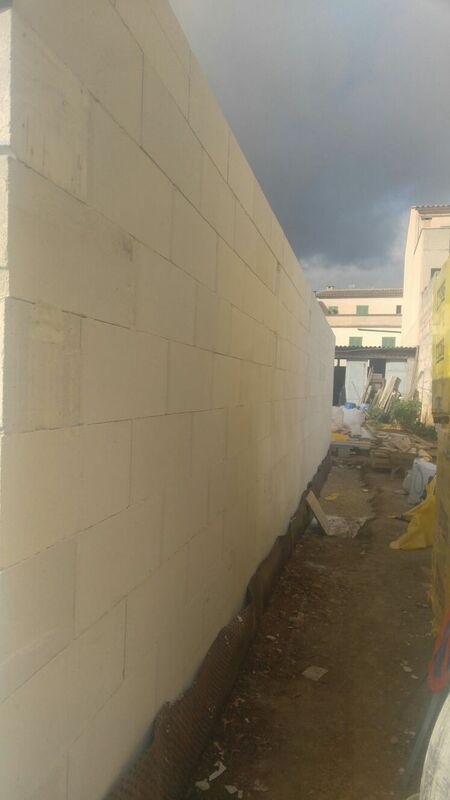 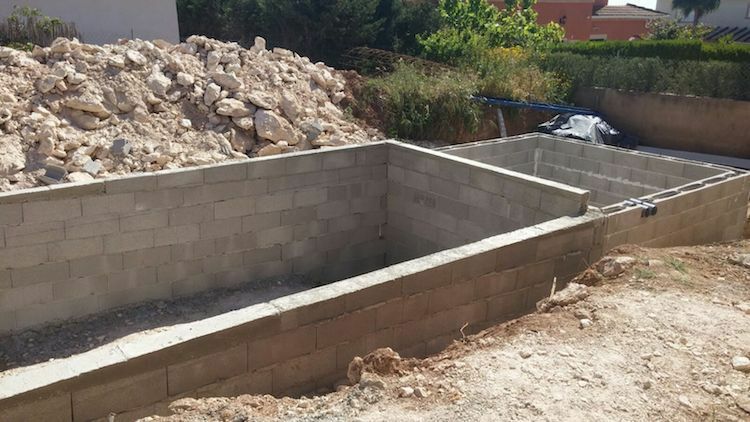 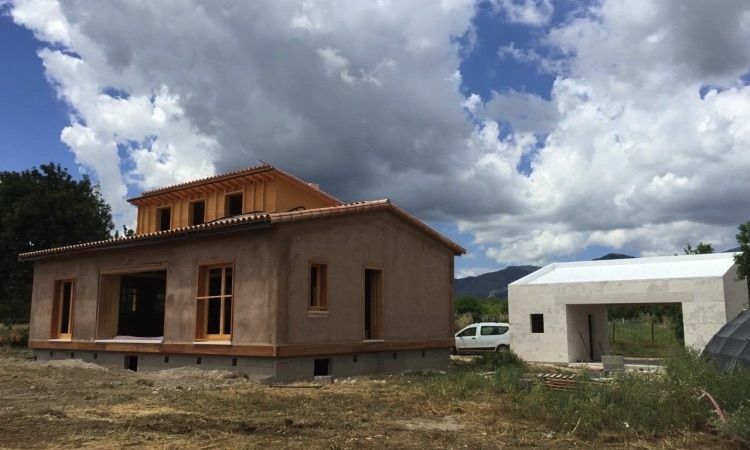 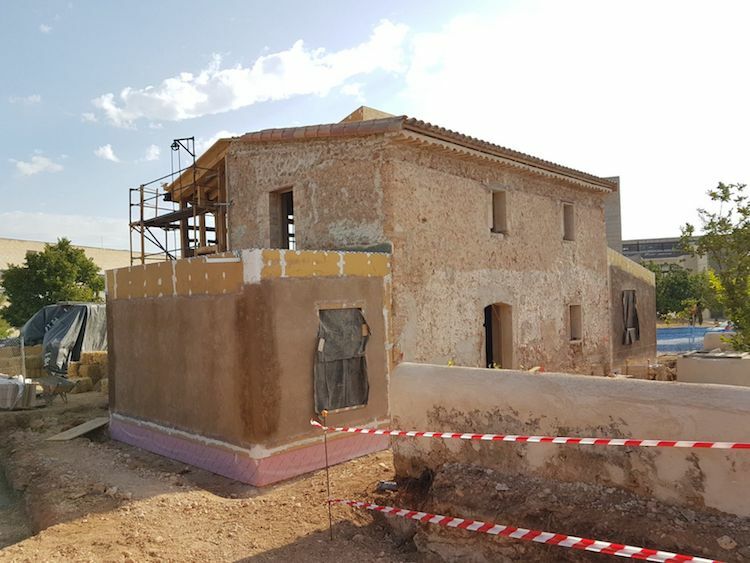 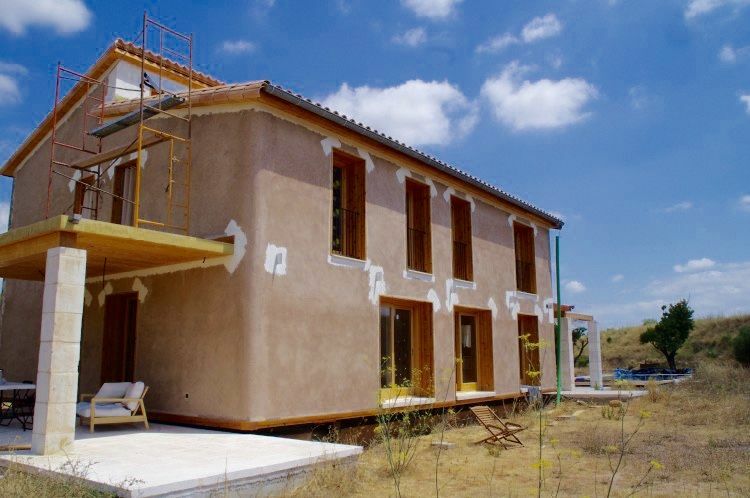 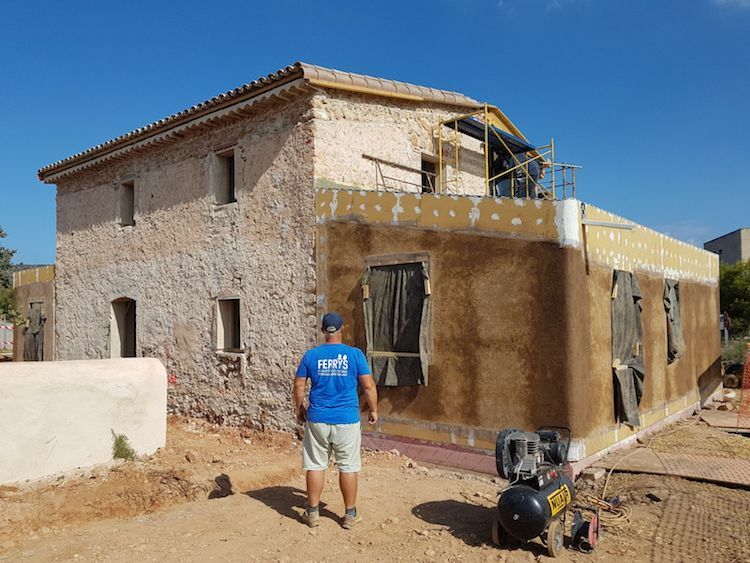 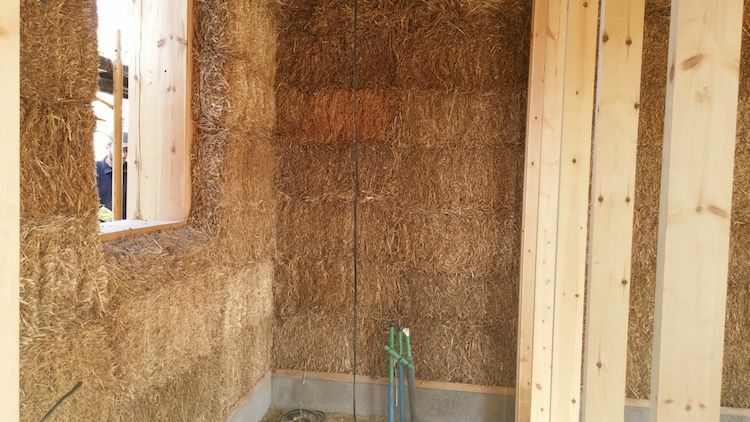 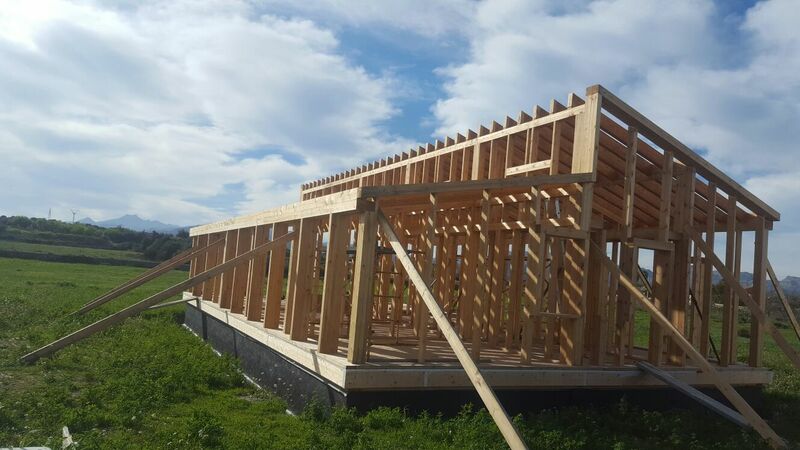 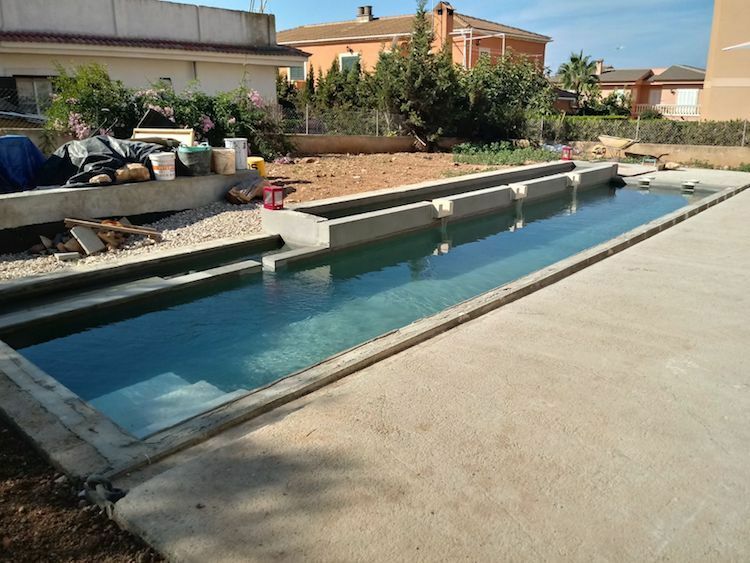 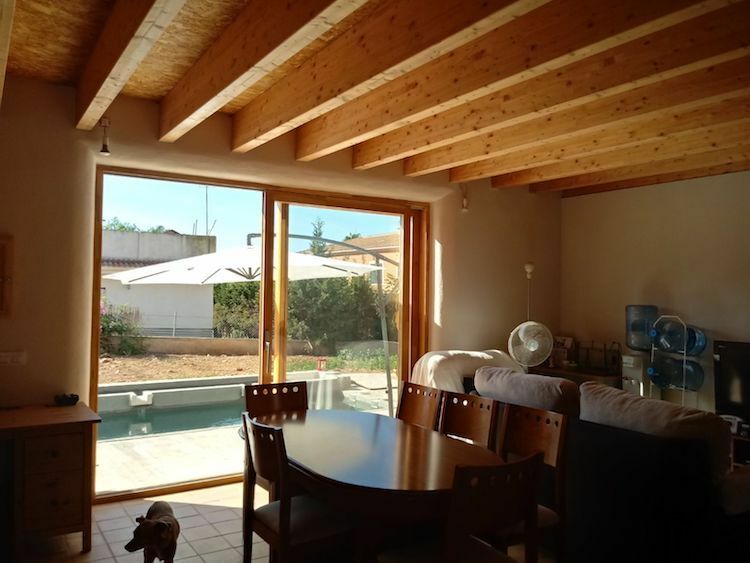 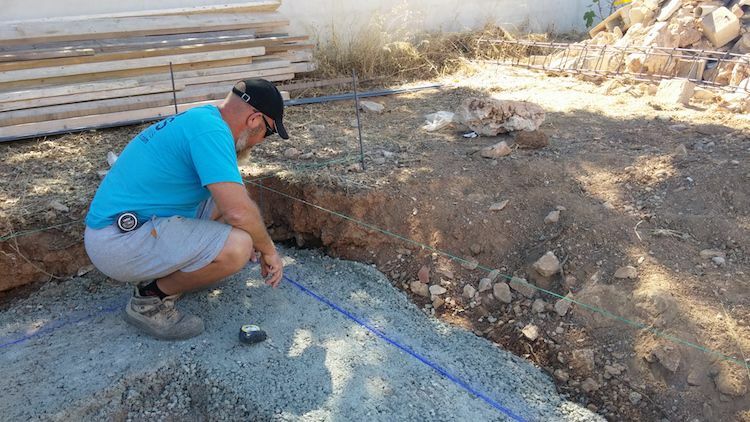 Since its inception pioneered the Green Building in Mallorca and specialized in building houses with straw bales, new work and refurbishments are other sectors that we offer.